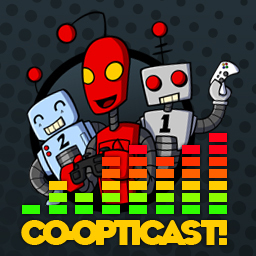 Co-Optimus - Your Prime Source for Co-Op Gaming - Co-Opticast Episode 25: OMG He's In My Room! Co-Opticast Episode 25: OMG He's In My Room! It's a big episode - Episode 25. I believe this graduates us from amateur to "guys who sorta know what they are doing." The latest episode has Nick and Mike discussing the biggest co-op news like a brand new Left 4 Dead Campaign and 50 Cent in Modern Warfare 2. The brand new TMNT: Turtles in Time is also discussed and all of it is wrapped up nicely in a classic PC vs. Console debate. What more could you ask for in 25 episodes? Page created in 0.0136 seconds.